Talk about extraordinary! Here is a 1990 Montblanc Meisterstück piston-filler as a clear transparent demonstrator! 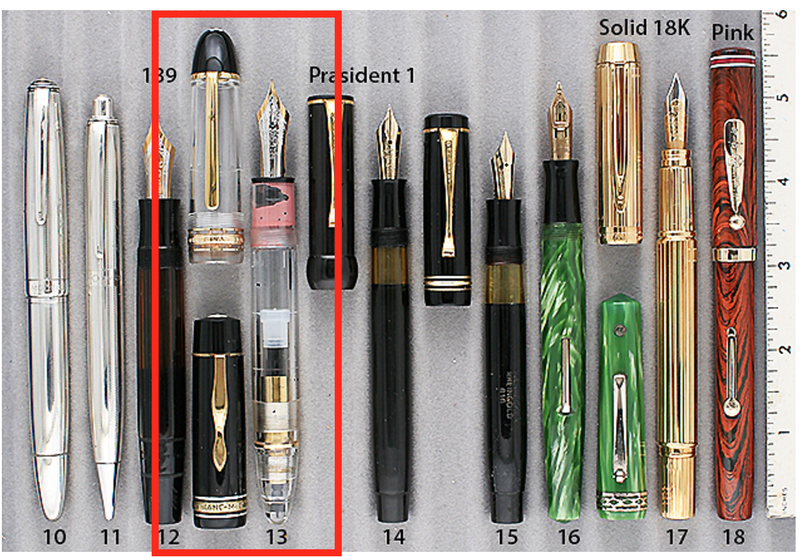 This is by far one of the most rare 149s out there – with a two-tine, 14k fine nib. This is mint, and is a beauty! Item #13 in Catalog #81. This entry was posted in Vintage Pens and tagged Montblanc. Bookmark the permalink. Follow any comments here with the RSS feed for this post. Post a comment or leave a trackback: Trackback URL.